Our go-to resource for irrigation professionals nationwide is full of tools and makes it easy to find the products you need. 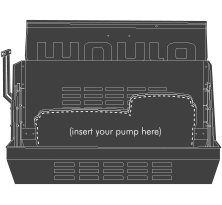 Our pumps are engineered to work better for longer. Check out the performance to horsepower on the LP Series - it's jaw dropping! We support smart water use and the Irrigation Association's Smart Irrigation Month. You can too! Munro saves customers thousands of maintenance man hours by providing solutions instead of band-aiding problems. Let us help you solve water management problems. Finally, a better way to house a pump. 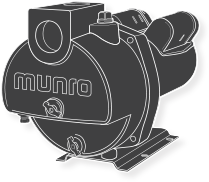 At Munro, we’re proud to develop and bring to market innovative products and solutions to move water. Our top priorities are to solve problems, improve performance, and create lasting partnerships. 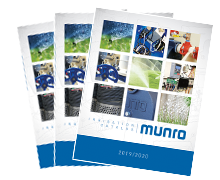 Whether we’re developing a new product, sourcing the right component, or improving a customer’s outcome, innovation happens every day at Munro! 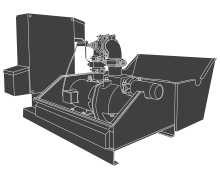 We manufacture pumps, pump controls and pumping systems for many different applications, including: irrigation, agricultural, mining, municipal, water features, and wastewater. We also sell parts and accessories for most types of pumps.